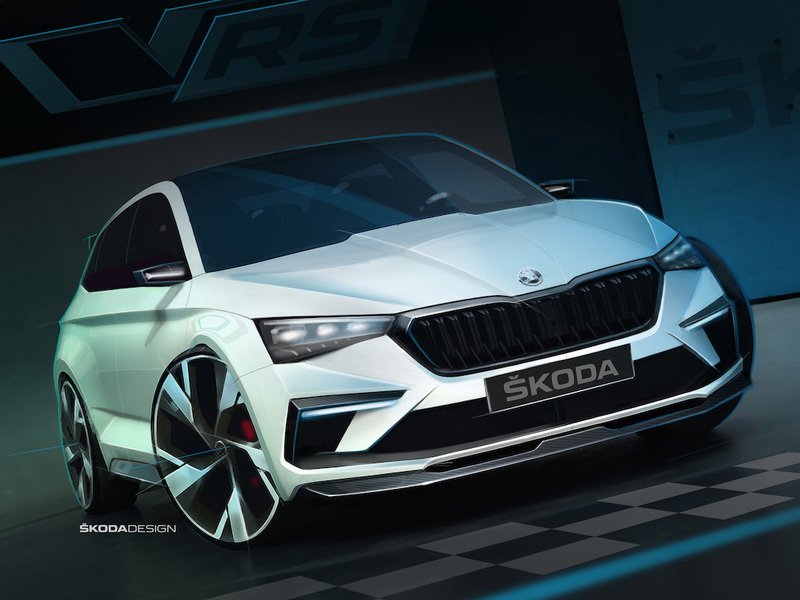 Škoda is to showcase a high-powered plug-in hybrid hatchback concept at the Paris Motor Show, likely to preview the replacement to the Rapid hatch as well as future vRS models. Shown in new design sketches, the concept features a plug-in hybrid drive combining a 148bhp 1.5-litre TSI turbocharged petrol with a 101bhp electric motor, giving a total 242bhp and a 0 to 62mph time of 7.1 seconds and combined CO2 emissions of just 33g/km. The model brings a 43-mile electric-only range and the 13kWh lithium-ion battery can be charged by cable in 2.5 hours at a charging station. Škoda said the model provides the first insights into the design of a future compact vehicle – believed to be the new Rapid – as well as the next stage of its vRS models. The carmaker announced a month ago that it’s launching a vRS version of the Kodiaq, marked out as its first SUV to wear the iconic badge.